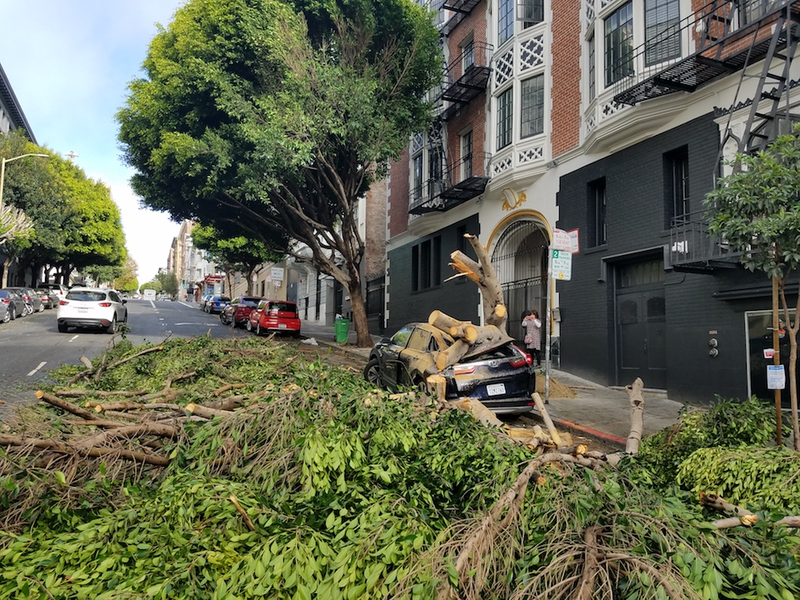 A week and a half ago, a fallen tree shut down all traffic on Hayes Street for over six hours, causing headaches for drivers and Muni buses in the heart of Hayes Valley. 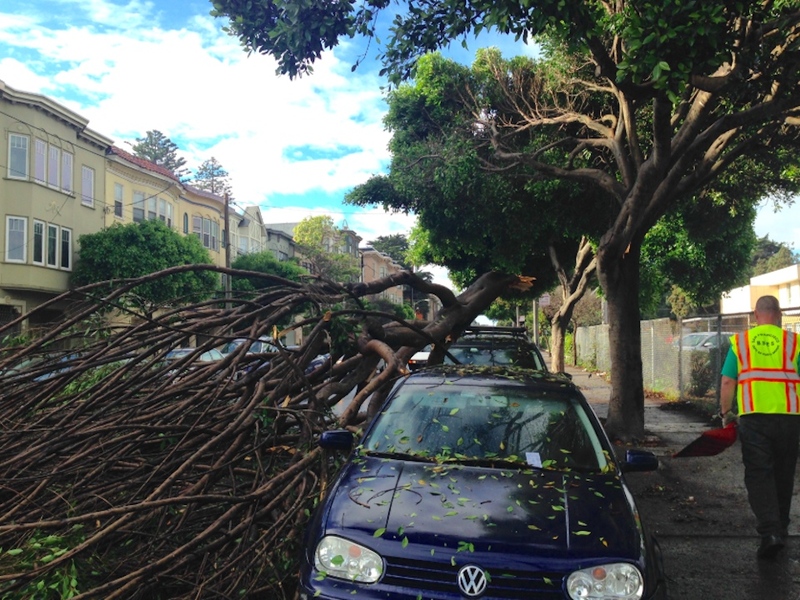 Now, Hayes Valley residents will have the chance to hear from city officials on their future plans to maintain street trees in the neighborhood, and protect residents from the potential dangers of falling trees or tree limbs. Mohammed Nuru, the director of SF Public Works, and Nancy Sarieh, the public information officer at the Bureau of Urban Forestry, will join the Hayes Valley Neighborhood Association tonight to discuss tree safety, as well as street cleaning concerns and homelessness issues. Created after the passage of a November 2016 ballot initiative, the StreetTreesSF maintenance program has transferred responsibility of the care of street trees from city property owners to SF Public Works. Ultimately designed to establish a regular three-to-five-year maintenance schedule for the city's street trees, the program is funded by a $19 million set-aside in the city's general fund. But the program faces a major challenge in the city's aging population of ficus trees, whose structural flaws make them prone to dropping branches or toppling over entirely. 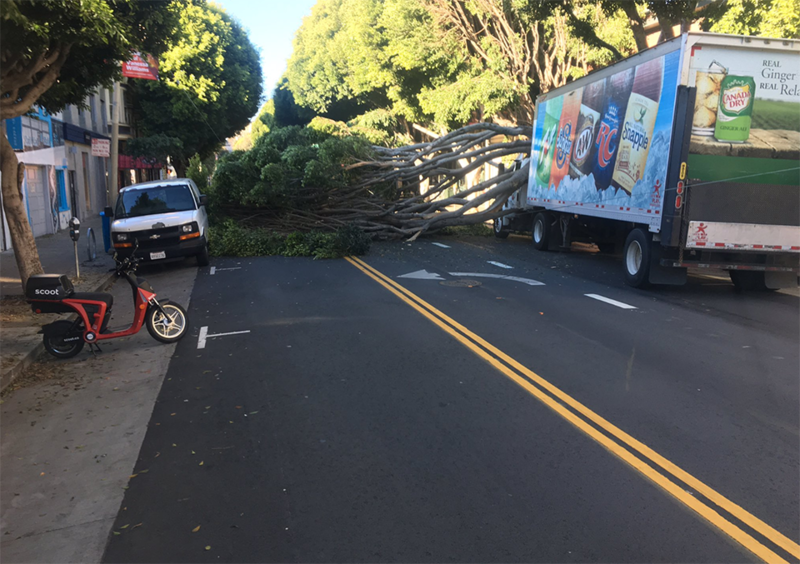 The large ficus tree that fell across Hayes Street on December 27 damaged a delivery truck, and snarled traffic for hours. In 2014, SF Public Works adopted guidance that eases removal of ficus trees due to structural concerns, particularly in areas near schools and senior centers, or on highly-trafficked sidewalks and busy street corners. Individual trees are assessed by arborists, who determine whether the tree can be pruned or whether full removal of the tree is necessary. Despite these safety concerns, removal of ficus trees has often been met with protest from residents. A plan this fall to remove 19 ficus trees around the SF Main Library was opposed in a petition signed by more than 2,100 concerned citizens. They argue that the trees provide shade to the neighborhood, create a wildlife habitat, and help absorb storm water. City arborists have found the trees around the library are suffering largely because their trunks are surrounded by standing water nearly every day, after the sidewalks surrounding them are pressure-washed for cleanliness. The agency is working with library officials to identify replacement trees that could survive that amount of standing water; the current preference is for red maple trees, according to DPW documents. The San Francisco Board of Appeals will consider the citizens' protest about the library tree removal at its January 19 meeting, SFPW spokesperson Rachel Gordon told us. If you're interested in learning more about the ficus tree issue and street tree maintenance planning, they will be more broadly discussed at the HVNA safety meeting tonight at the Korean American Center (745 Buchanan St.) at 7 p.m.